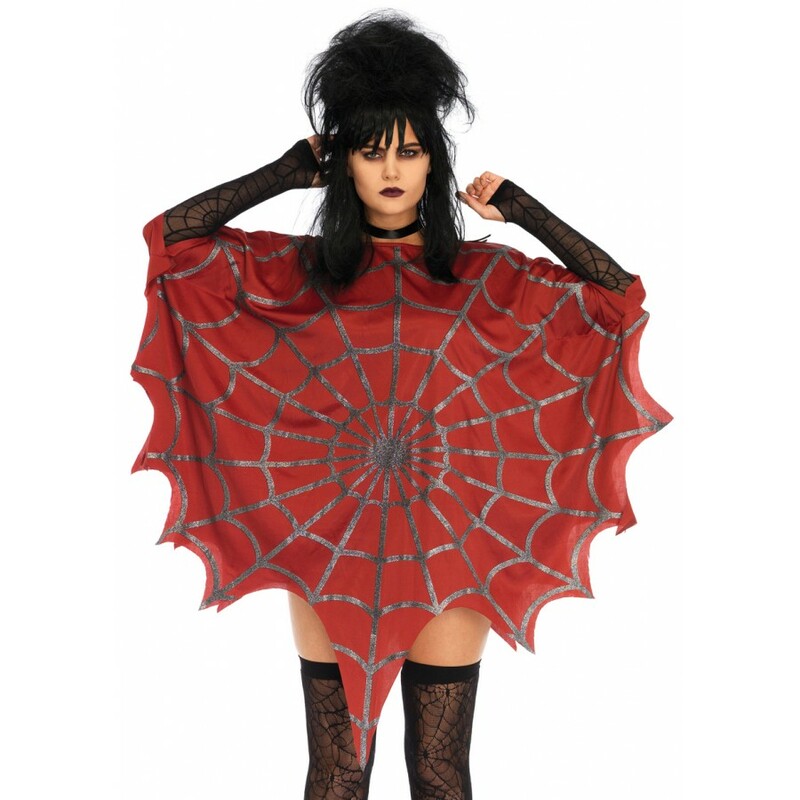 This unisex red poncho has glittered spider web on one size and daggered hem. A fun light coat or costume piece, this simple poncho has head opening and falls to the top to the thigh with a dagged hem. It features a glittery spider web print on one side - wear it at front or back. Unisex, one size fits most teens or adults. Item Number: LA-3762FD | Approximate Size (Inches): 8.00 wide x 1.00 deep x 10.00 high | Approximate Shipping Weight: 1.00 lbs. Sheer black spiderweb pattern arm warmers that come above the elbow. One size fits most te..